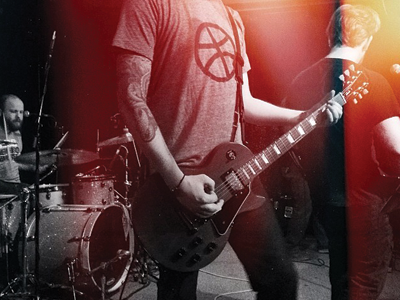 I wore my newly acquired Dribbble shirt to play a show with my band, Purist, last night. Guarantee 99% of the people thought it was simply a basketball shirt. Secret design nerd achieved.